For that special good "birdie" in your life, our goldenfeast Healthy Treats Yogurt Almonds are the perfect blend of healthy and treat. 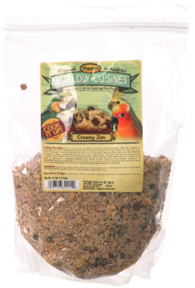 Coated on the outside with protein and probiotic rich yogurt, when your birdie beaks through the candy like, bird safe coating, they will find a delicious and nutricious almond on the inside. 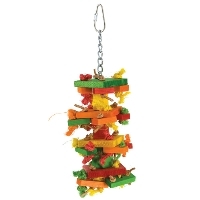 These are great treats for larger sized parrots like Macaws, Eclectus, Amazons, Cockatoos, Cockatiels and Conures.